PR, next SE. Tide under 12ft. very possible SE surf .PR. tide looks good. interesting story on the us government shutdown and the gfs model. afternoons are usually less East. Great picture, Lighthouse Park, when was that taken? M, posted somewhere recently... I was trying to get a photo of the SE SW switch, insane conditions, no time to take photos at PR. It's now 5 million bucks to fix the pier, high tide+strongest SW; I guess they missed the memo when Saturna turned 65 knots SW.
11am Saturna turned 11NE, sandy at 5 knots. Friday Harbour under forecast 20%; Whidbey under forecast. Maybe 3:30-430pm ...but with the Massey tunnel delays, plan b. See you in a month as nothing in the forecast for a while. Milked the knee-high leftover wind swell after the wind disappointed and tanked early. 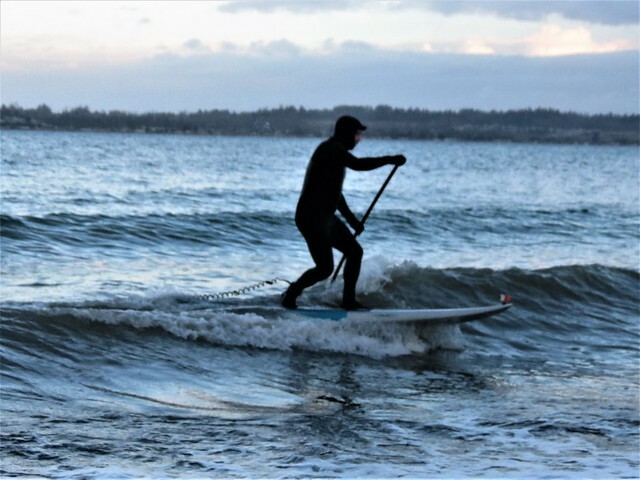 Met the founder and president of the Birch Bay Surf Club - super nice guy named Dave who was stoked to share the morning waves.